This is the Canadair CL-84 Dynavert. The Canadair CL-84 “Dynavert”, designated by the Canadian Forces as the CX-131, was a V/STOL turbine tiltwing monoplane designed and built by Canadair between 1964 and 1972. Only four of these experimental aircraft were built with three entering flight testing. In over 700 flights, the aircraft passed all its tests, and was raved about by Canadian, British and American Pilots. Alas, no orders came, and the 2 remaining aircraft are now Museum Pieces. 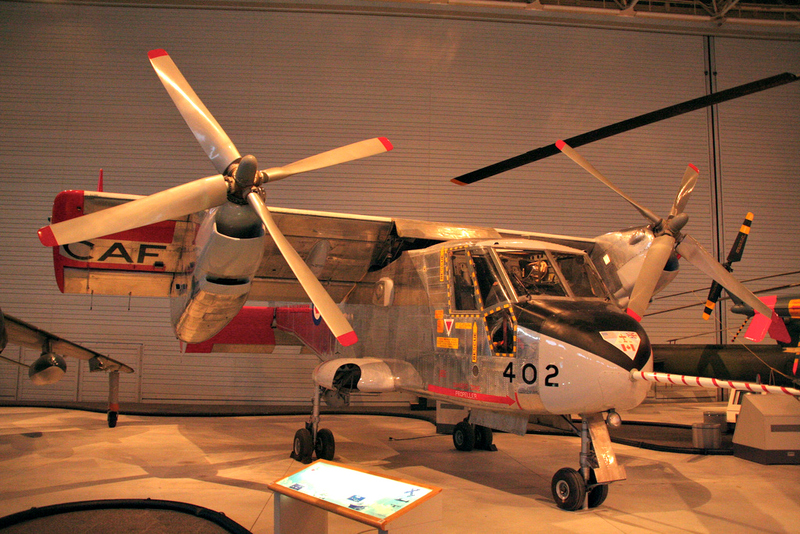 The only Complete aircraft is at the Canadian Aviation and Space Museum in Ottawa. This entry was posted in Aviation, Uncategorized and tagged Canadian Flight on July 30, 2013 by Peter.